With all of the value floating around, don’t sleep on the Irish Sun. I actually have to give a shout out to Calvin for this part as the reality is not many of the reasons have changed from this time last year when Calvin wrote about Hanley. There are only a couple of things that really have changed in that time. One of these things is that Hanley now comes at even more of a reduced price tag after going through another season where he was unable to play many games. While 2017 saw Hanley only play 13 games due to an unfortunate death in the family and injury/form issues upon returning that season, it was in 2018 that Hanley’s limited amount of games was purely due to injury. Hanley dislocated his shoulder in a pre-season match which meant his first game for the season was delayed until round 3. It was during this round 3 match that he dislocated the same shoulder and sat out on the sidelines until round 20 where he returned for two games before doing his hamstring. For the limited minutes he did play in 2018, Hanley was ranked 12th amongst defenders for his points per minute. The other thing that has changed since writing about Hanley this time last year, was that there has been a mass exodus of senior players over at Gold Coast in the off-season. What this has done is increased the importance of getting a player like Hanley on the park and the responsibility he will need to take on the field. It’s even led to discussion about Hanley as a potential captain option for the club. I’m not so confident of this idea, but still, he will be a leader of the club regardless and these are the kind of words you want to be hearing about any player in your squad. Value – Based on his price, he is currently the 119th best defender. This is disrespectful to a player of his calibre and immediately highlights the value of Hanley. His price of $414,000 is actually a 40% discount on what he would be priced at if he were able to average 80% of game time last year which is what he will typically play. 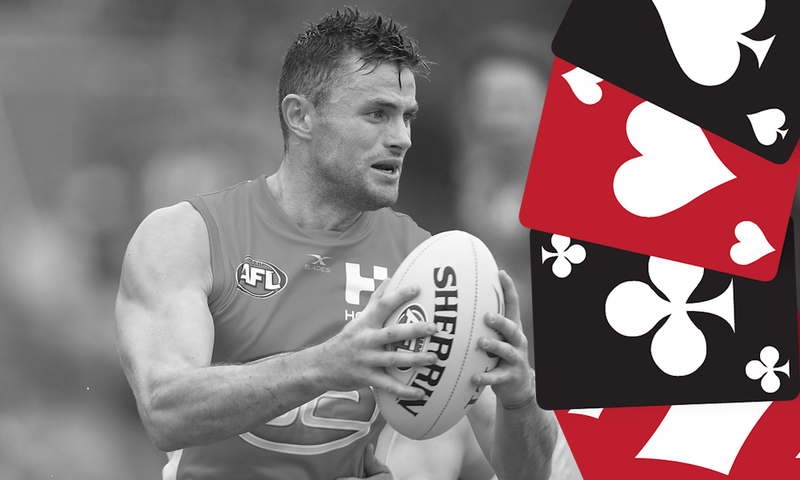 Unique – With players like Brodie Smith, Ryan Burton, Zac Williams, Michael Hibberd and Grant Birchall sharing the same tag as discounted defenders, the current ownership of Pearce Hanley sits at only 2%. This is quite incredible when you consider that Hanley has averaged 80 and over from seasons 2011 to 2016. Ryan Burton has proved only once he can have a season averaging over 80, Brodie Smith only once from eight seasons and Zac Williams and Hibberd only twice. Role – The removal of Steven May, as part of the mass exodus discussed above, makes room for a lot of kick outs to be taken by someone else this year at Gold Coast. You can bet your bottom dollar that Hanley’s thumping right foot has put him in contention to take a lot of the kick outs for Gold Coast (and there should be a lot of them). The only reason Hanley won’t take majority of the kick outs is if he is forced to play more time in the midfield, which really is a win win either way. I’ll be keeping an extra close eye on JLT as if Hanley has the ball in his hand for kick outs then he should go right up the pecking order for discounted defenders. It should be pretty obvious by now. It’s really only a question of durability when it comes to Hanley. In the last eight seasons, Hanley has only played a full season in three of them. That is the only reason why you shouldn’t be considering Hanley as I really don’t have much else for you. The other obvious reason is team structure. As discussed above there are many other options around this price point in defence who are probably more reliable and could be looking at averaging similar, if not higher than Hanley. Once he did get on the park in 2017, Hanley went 50 and under three times. This includes a score of 30 in a game where he played the whole time. That is worrying enough to turn a lot of coaches off. There’s a risk that he’s trusted to play on taller opponents when in defence, which could hurt his scoring as the club does lack leaders down back, but now I just fell like I’m scratching the bottom of the barrel for other reasons you shouldn’t pick a likely 80 point scoring defender who is currently priced at a score of 57. JACK – Although his scoring potential puts him higher than a Jack, the reality of the situation is we just can’t trust him enough to get on the park. With there being a lot of discounted defenders flying around, it’s easy to go past Hanley as an option. However, take this as a warning, if all of them play 100% of the season then Hanley would be firm favourite to average the most out of the bunch of them. If you aren’t picking too many other injury prone players then it’s definitely worth the punt. A coaches favourite when it comes to the club, and a coaches favourite when it comes to my fantasy team. What does Pearce Hanley return this year? Great article. You havent persuaded me to pick Hanley, but you certainly convinced me Brodie Smith and Zac Williams are nothing but bait.